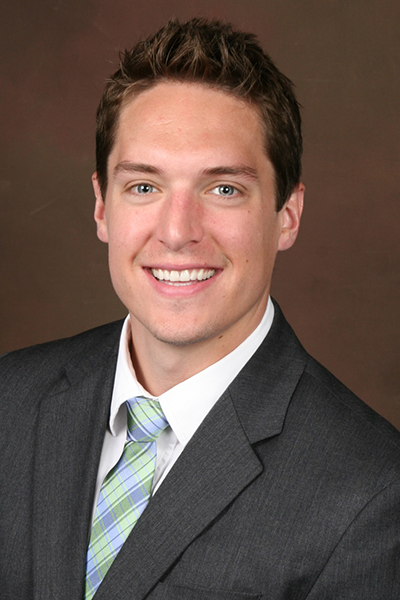 Dr. James Kertis first discovered his passion for dentistry while growing up in Rochester, MN. Using his strong artistic abilities and a desire to help others, he knew Dentistry would be a successful career path. Dr. Kertis continued his education at Viterbo University in La Crosse, WI, where he graduated with honors and was an All-American scholar athlete. From there, he attended the University of Minnesota School of Dentistry, where he excelled in all aspects of General Dentistry. Dr. Kertis enjoys building relationships and bringing a relaxed, friendly attitude to all his patients. He realizes coming to the dentist can be a stressful experience but is excellent at putting his patients at ease and giving them a pain-free experience. He particularly enjoys Oral Surgery, Endodontics, Pediatrics, and Cosmetic cases. Dr. Kertis enjoys the ever-changing technology of Dentistry and is actively pursuing continuing education in Implants and Sedation Dentistry. In his free time, Dr. Kertis enjoys being outdoors, playing all sports, trying new restaurants, watching live music and volunteering his time at the Union Gospel Mission in St. Paul.